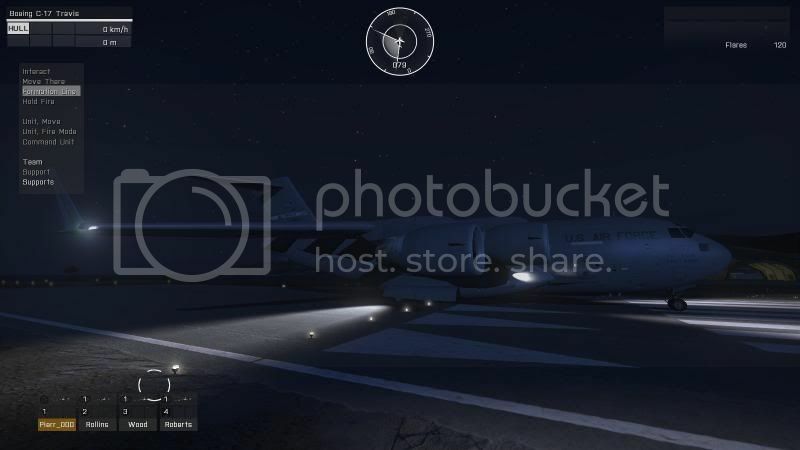 The Purpose is of this mod is to add a couple of the most used USAF aerial platforms to Arma 3. Im hoping that they will add some more flavor to the game just like John Spartan's F/A-18 and Peral's A-10C. 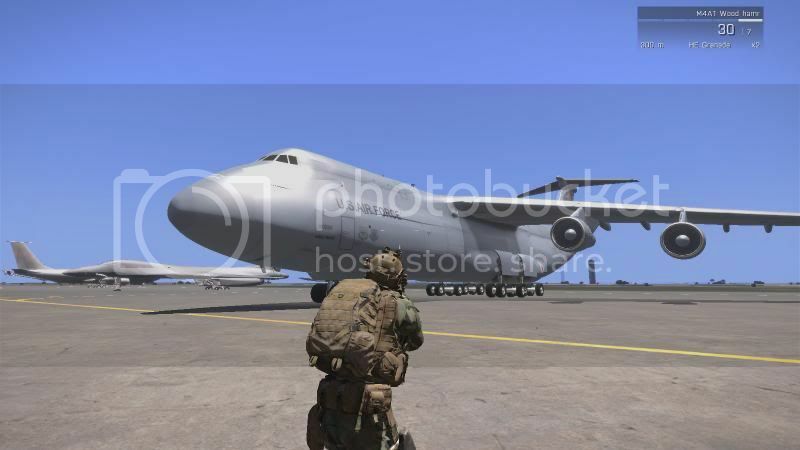 This is a conversion mod and full permissions have been given by the creator of these models for upgrade and adding to Arma 3 and want to thank them for allowing us to port them. Ive been working with Peral who you all know is bringing the beauty A-10C into arma 3. He has been working extremely hard on the upgrade as well as the A-10C so please bare with us on the time frame. Our goal is to make the Assets as close to real life as possible and hopefully they will work well for your respective squadrons/brigades. At this time i will introduce the assets and what we plan on them doing. Please keep in mind that all pictures are work in progress. Is the scale correct on all the aircraft? It looks off a bit. 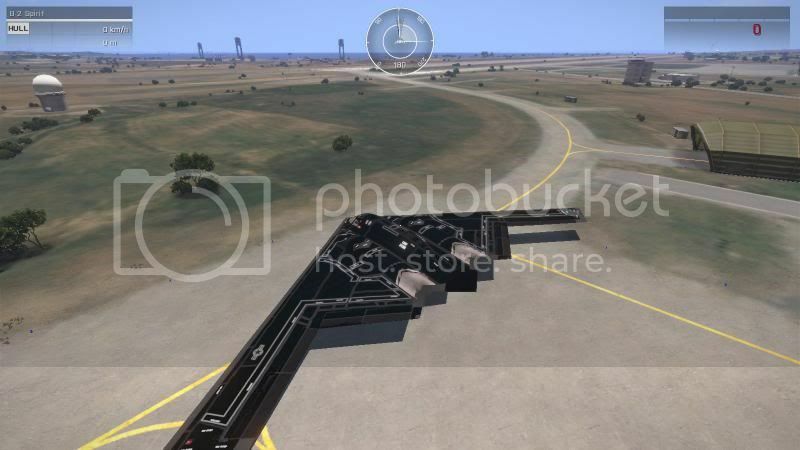 The runway in the centre of Lemnos is capable of having the Antonov An-225 Mriya land on it in real life. 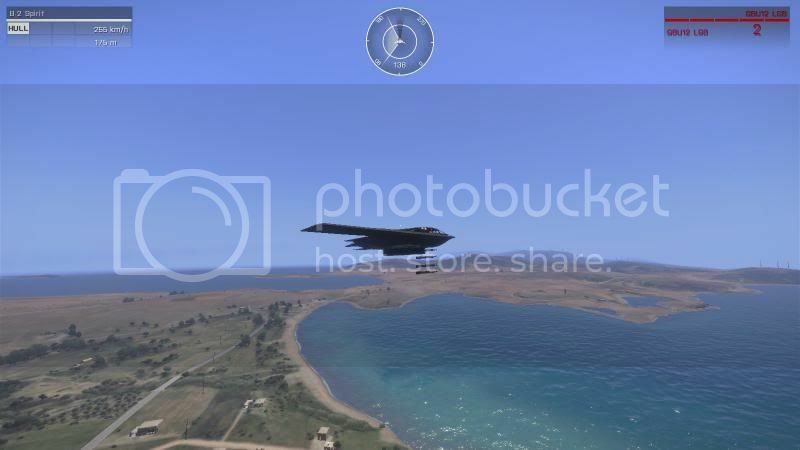 Nice work .... good to see more aircraft in Arma3 ! Will any of these have the famous "Service Menu" like John's F/A 18? Wow! They look awesome! I see you have plans to include the F/A-22... what about the F-35? 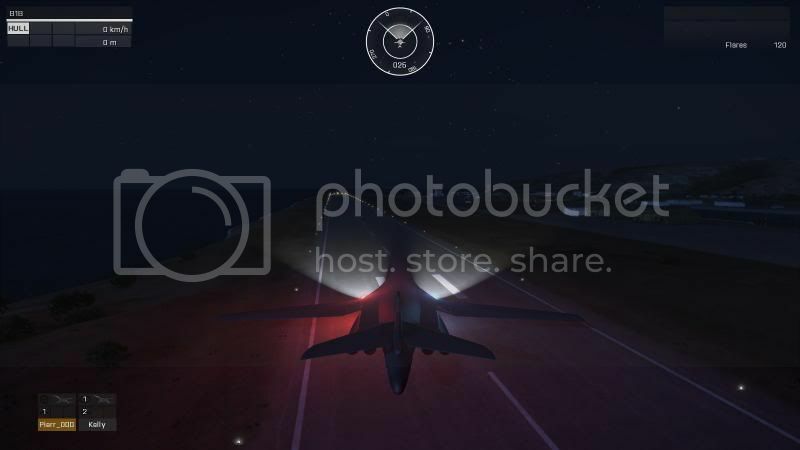 It would be cool, if all new jets has this "service menu" and "interactive cockpit". It`s nice that to you added it, great mod! This mod focuses on US Air Force Air assets and plus im in the USAF and i either currently or have protected these planes and like them. Maybe someone else will make a mod with the air assets that suits your specifications, and Yes they have stopped production of the 22 but we still have fighter squadrons with the F-22. 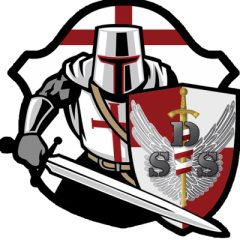 Ill look into the 15 SE program that you mentioned but don't look for it to be apart of this mod. 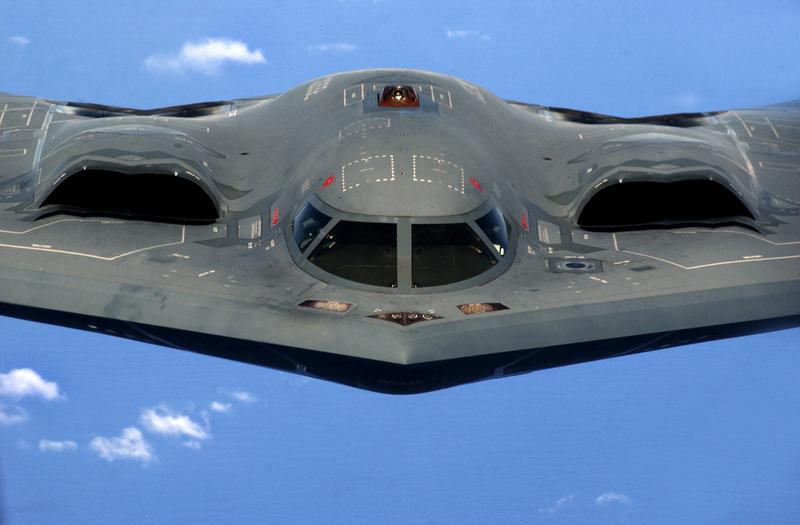 and yes i know that the B-2 is to black. Peral is playing around with the textures and as it stated above pictures are WIP this is not the final color. I am very impressed from your work! Oh no don't get me wrong I love this, I love USAF planes. The more airpower the better :D. It was more of a... retorical question. In the sense that a lot of people always seem to gravitate towards US Army, US Navy and US Airforce, whilst there are many other awesome militaries out there. agree with you that there are other awesome militaries out there. Ok lets stay on topic please. 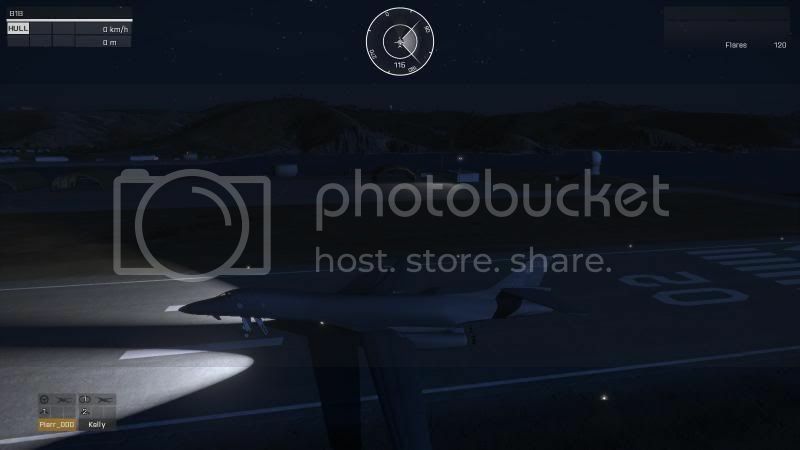 If its not about the Aircraft in this mod please discuss it elsewhere thanks. Will the detonation of the nukes be at the correct altitude and will the pressure wave or whatever ever it's called send tanks and other vehicles flying down the roads? How advanced will the other weapon systems be? 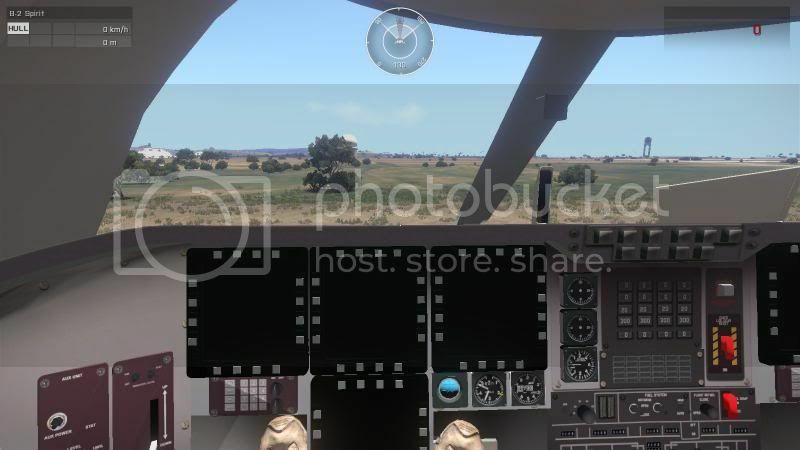 Will the aircraft have automatic flare systems? Do you plan to make the models more detailed? Do you plan to make the textures higher quality? I can't wait for this mod, especially some of your future plans. When you develop the F-22(Probably going to be awhile since you've got so much on your plate) will you animate the thrust vectoring nozzles like Saul and John Spartan did with the SU-35E? There is a script out right now that simulates a nuclear explosion for arma 3. We are going to talk to the creator and see if we can utilize it for the nukes. 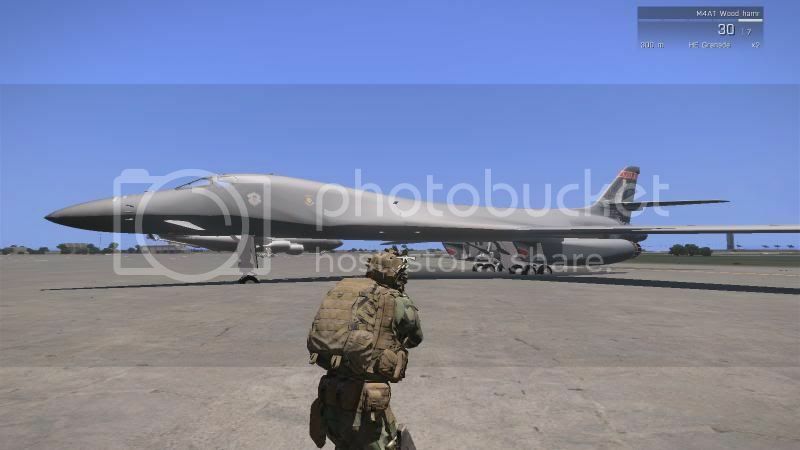 Were trying to make them as close to there real world counterparts so as far as the weapons it will carry the maximum load out for that particular weapon system.The B-1 will have flares..the B-2 won't as it does not in real lifee. Yes peral is working extremely hard with the textures but if there is a master texture out there. We will let that person handle it. I saw that when I tested it out and loved it..but if the f-22 incorporates a system like that then i don't see why not and will get with john and Saul about that but if it doesn't it won't be added.. Sounds like a good project. I played around with some of those models a few months back and got them in the game. Of course none of them were 100%. 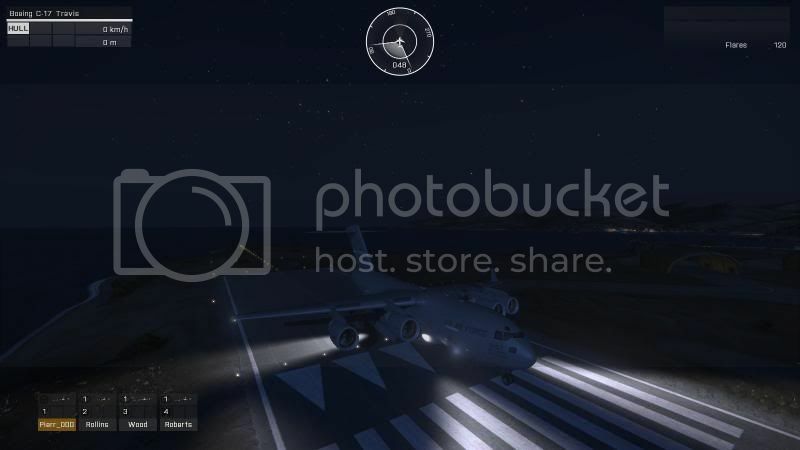 I couldn't get paratroopers to jump and live, and the C-17 was as maneuverable as a fighter jet. Glad to hear that experienced modders are going to do some justice to these vehicles. Speaking of nukes, I recently came across this really cool vintage film of a nuclear detonation. It doesn't really say which explosion in particular it was, or the size in kiloton/megaton. But you can get a really good sense of scale from one of these detonations because you can really clearly see the testbuildings and vehicles beneath the fireball. This was an airborne detonation btw. Looks like a baby nuke to me. Hey guys just a little update. 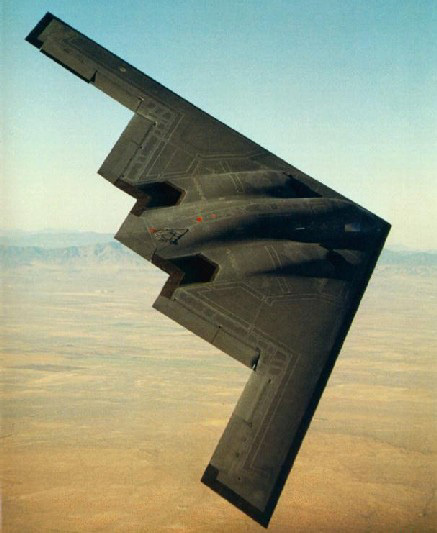 Me and Peral have been extremely busy He with his A-10 and working on the B-2 and teaching me as this is my first addon. And me working on the C-17 and the B-1. 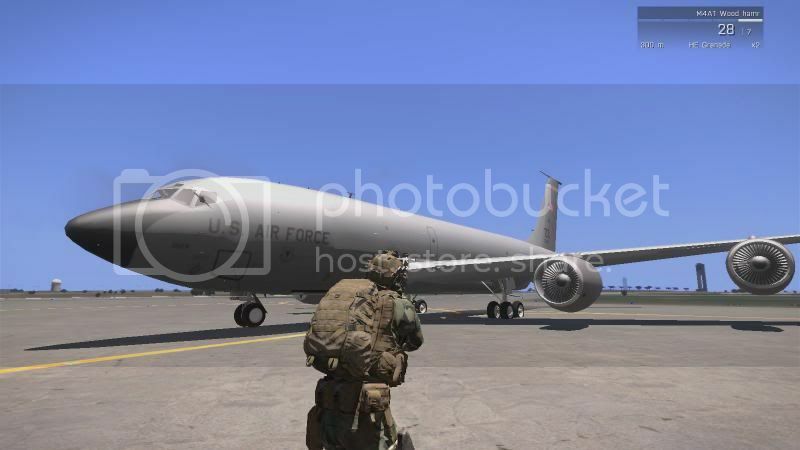 Progress is going great the KC-135 will be the last one that we work on. 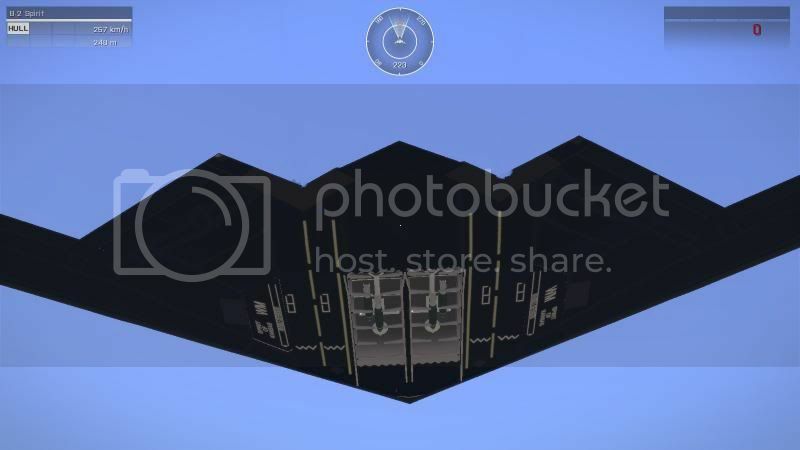 The B-2 is coming around me and peral have decided that we are going to do two colors of the B-2 the black version that you see in the WIP screens from earlier and the USAF standard version. Peral has done marvelous work with it and has already redone the cockpit and has started on the interactive portion. The C-17 after peral's extensive guiding i have added Exhaust to the C-17 four turbine engines and it looks great. Im in the process of getting the flares to disperse in the correct sequence as in Real world. 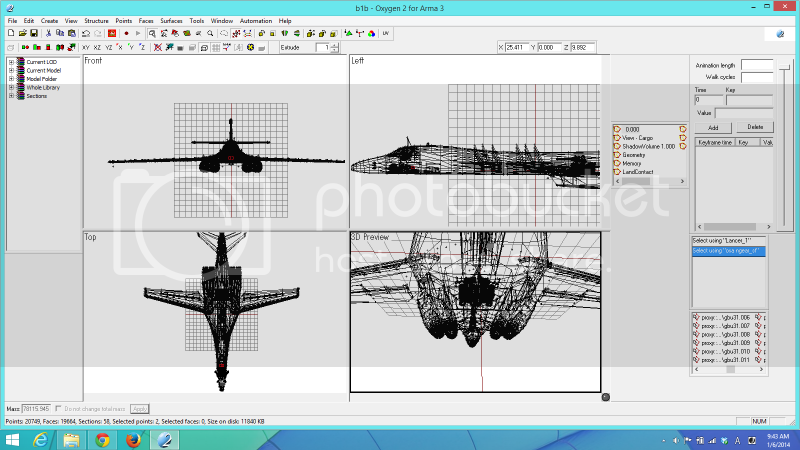 The B-1 i have been working on also. Peral fixed the issue we had with the plane sinking into the ground and i fixed the lighting and collision lights, i also added the Warning system and Flares..i believe the collision lights are to bright but i will post some WIP of it and you tell me what you think. All in all the USAF mod is coming great look for more news soon. I have also been trying to reach the creator of the AC-130 Spooky II from arma 2 to see if he will allow a conversion and upgrade wish us luck. I would like to take the time to thank peral for helping me extensively with this mod without him this wouldn't be happening as i said this is my first attempt at a mod even though its more of a conversion/upgrade im STUPID when it comes to this but day by day he has helped me. Thanks again. We are also looking for a master texture if your up for the job please PM me.